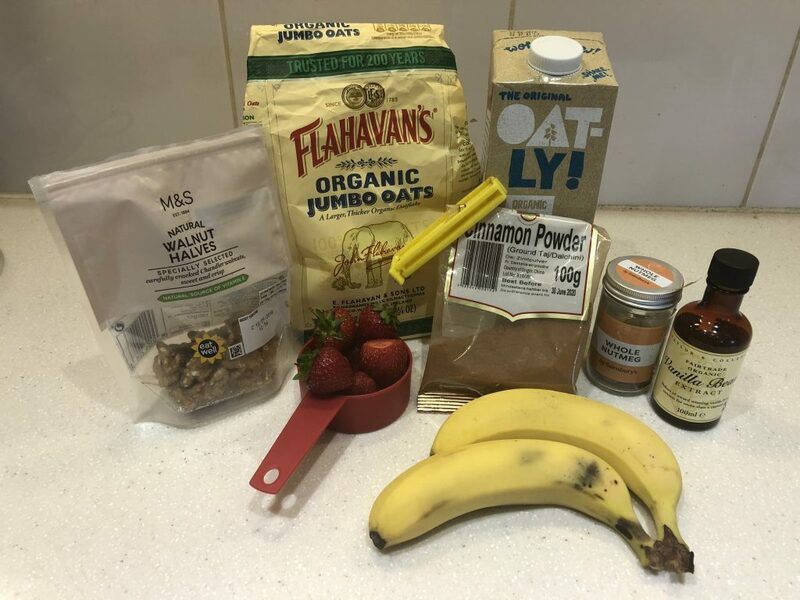 This is a great breakfast alternative that you can prepare the night before and take with you to work. You can create different flavours depending on what you like and create variety so you don’t get bored. 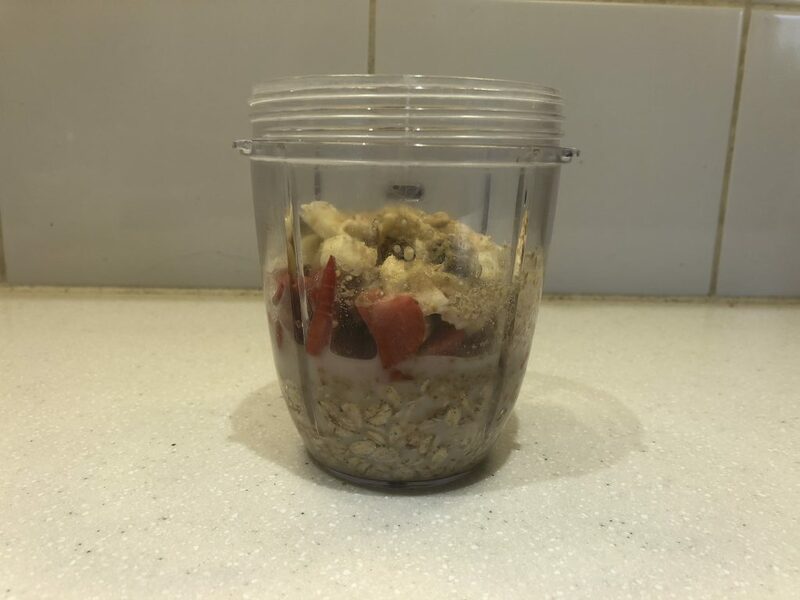 You can use any jar or nutri bullet cup with lid so they are easily portable. Add all the ingredients into a jar or container – shake them all together then put them in the fridge. You can add the walnuts the next day if you like. You can lower the calories but replacing the banana with raspberries or blueberries.